According to Mr Rofiq, chairman of Ethnic Rohingya Community-ERC based in Malaysia, a group of Rakhines with arms mostly who are not from Paletwa were entered into the muslim village and attacked against the villagers in the evening of about 21 June. Fortunately, the government authority arrived there in good time and seized all arms from Rakhines and drove them away. The authority promised to look after the villagers. However, up to today 25 June, they are confined within the village and their properties and they own shops in the bazaar are likely to be destroyed. FYI: Three are about 17 houses with estimated less than a hundred muslims belong to Rohingya are living in a hillside village, part of Myoatma Quarter, beside Rabyit Taung (Rabyit Mountain) of Chin people. It is only one muslim village in all over Paletwa town and Chins state as well. The town is 45 miles far from Kyauktaw township and situated along the Kaladan River. Originally, majority of the people of Paletwa are Khami and Chin people and some Rakhine people living in the town were later arrivals from Arakan/Rakhine state. Rakhines are still patrolling in all 11 Rohingya villages near by the town and trying to attack continuously therefore police and military are subsequently guarding the villages. Rakhines people openly declared that all Rohingya villagers should abandon their houses and leave immediately from the village. The deadline given is the 5th of July. During Rohingyans are confined within their houses, their properties such as cattle, goats, farming lands, crops and carts were already took over by Rakhine people. There is nothing left for Rohingya and now they are trapped and starved without foods and medication. FYI: All houses in Barua village and 12 houses in Khondol village of near Sugar Mill Factory and all houses in its opposite Nairaung village at Kyauktaw northern part and 46 houses in Kyauktaw southern village of Apaukwa (Aa-fok), were already set fired. 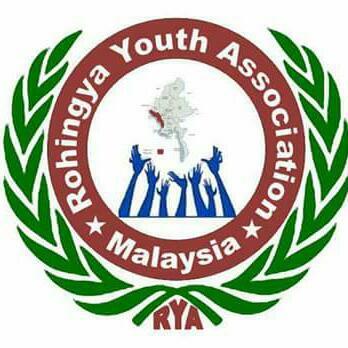 About 130 Rohingyans half of them were teens and kids were killed during 15-18 June. Dozen of Rohingya villagers taken away by authority are not yet returned. The remaining 11 Rohingya villages near the town and 20 other Rohingya villages are highly alert while overall attacks are ongoing in all Rohingya villages.